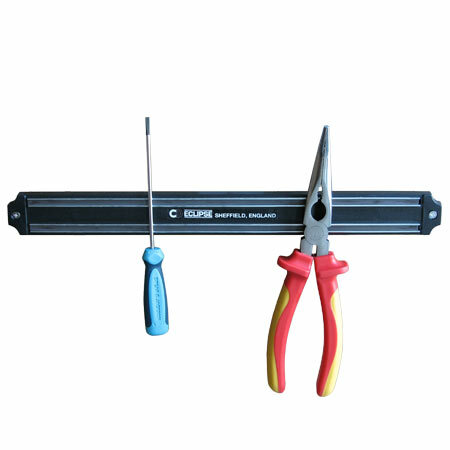 • Contains 2 powerful magnetic bars with a rubber strip. Keep your tools or utensils handy but out of your way. • Use to keep magnetic knives in place. • Screw fix to a convenient wall. Fixings are tidily hidden. • When using as a knife rack, test suitability in a safe environment to ensure knives will safely be held in place before putting on wall. • No knives, utensils or tools are included with this product (only the Magnetic Tool Rack itself).